Every muscle in your body can be strengthen, even your eye muscles. There are some special eye exercises to train the muscles around your eyes for an improved vision. Not only your vision will be better and your eyes healthier, but, in the long term, all the eye problems related to ageing can be avoided. Should I Exercise My Eyes? As you can see, there are some cases when these eye exercises are useless. 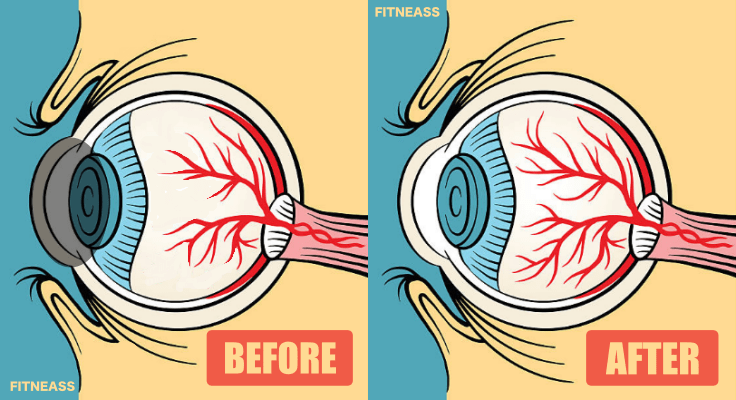 But for the other age related eye problems, you should definitely try these 8 exercises. Maybe you didn’t think about this before, but maintaining a great vision over the years is easier than you’d think. 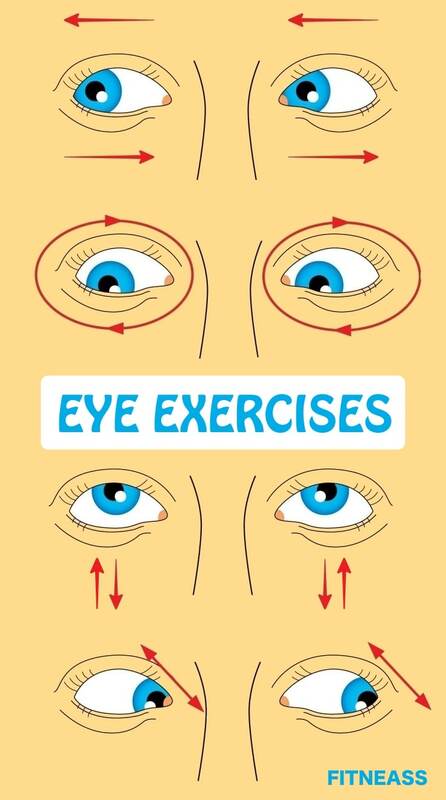 Just perform these 8 eye exercises every day to keep your eyes “in shape”. In just 10 minutes per day you can maintain your vision at its full potential over the years. Give these eye exercises a try and your older you will be so grateful! Blink often for one minute to normalize the intraocular blood flow. Close your eyes for about 3 seconds, then open them for 3 more seconds. Repeat 10 times. This exercise increases blood flow to your eyes and helps to properly relax your eye muscles. Fix your eyes on a point in front of you and rotate your head in a clockwise direction for 15 seconds. Keep your eyes on the mark while moving your head. Repeat the process in a counterclockwise direction for 15 more seconds. Then move your head from side to side for 15 seconds while keeping your eyes fixed on the mark. Repeat moving your head up and down for 15 more seconds. These head movements increase the blood flow in your eyes. Look to the left without moving your head, then slowly turn your eyes to the right. Repeat for 30 seconds. Look up without moving your head, then slowly look down. Repeat for 30 seconds. Draw a figure 8 in front of you with your eyes. Keep doing it for 30 seconds. Move your eyes in random different directions (diagonally, up, left, right, down, rotate, etc.) while keeping your head fixed. Do it for 30 seconds. Close your eyes and squeeze them shut tightly for about 3 seconds. Then open your eyes for 3 more seconds. Repeat this eye exercise 10 times. Keep your eyes closed and slowly move your eyeballs in all the directions. Do it for a minute. Eye exercises performed with eyes shut improve vision by strengthening the photoreceptor cells in the eyes. Place an object (your finger, a pencil, etc.) in front of your eyes at 10 inches (30 cm) distance. Look at the object for 10 seconds. Then focus on a distant object situated at 10 feet (3 meters) away from you. Look at the far object for 10 seconds. Repeat this focus changing cycle 3 times. Lightly massage your temples with your fingers for about 10 seconds. Release for 5 seconds, then repeat 3 more times. 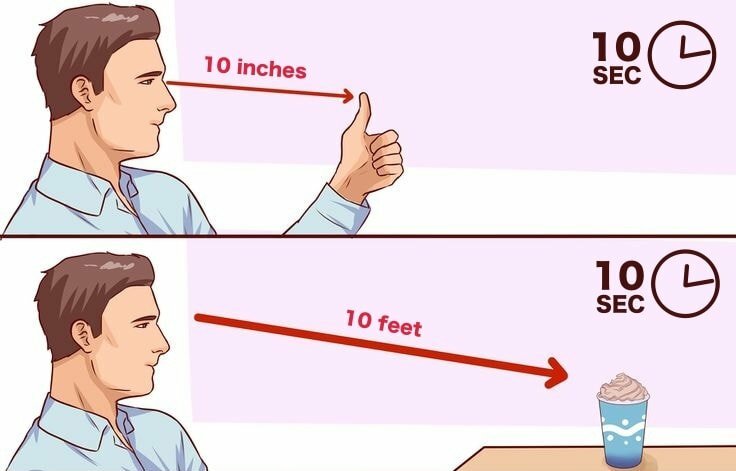 This is a relaxation technique that improves the circulation of intraocular fluid. This is not an eye strengthening exercise, but rather an eye relaxation one. It helps loosen up the tension created on your eyes during these intensive eye exercises. Close your eyes and cover them with your palms. Try to relax in this position for a minute. Release your eyes and you’re done! These eye exercises will help you maintain a clear vision over the years if practiced regularly. So start today!